Today’s most successful businesses are storydoers. They create products and services that, from the very beginning, are manifestations of an authentic and meaningful story-one told primarily through action, not advertising. 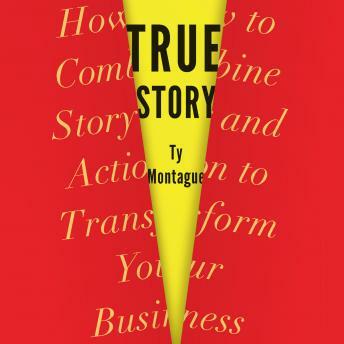 In True Story, creative executive Ty Montague argues that any business, regardless of size or industry, can embrace the principles of storydoing. Indeed, our best-run companies-from small start-ups to global conglomerates-organize around a coherent narrative that is then broadcast through every action they take (from product design to customer service to marketing).Montague shows why storydoing firms are nimble, more adaptive to change, and more efficiently run businesses.